One of the many great things about my work is the variety of venues I get to perform in, from church’s and cathedrals built nearly 1000 years ago to ultra hi tech modern theatres. 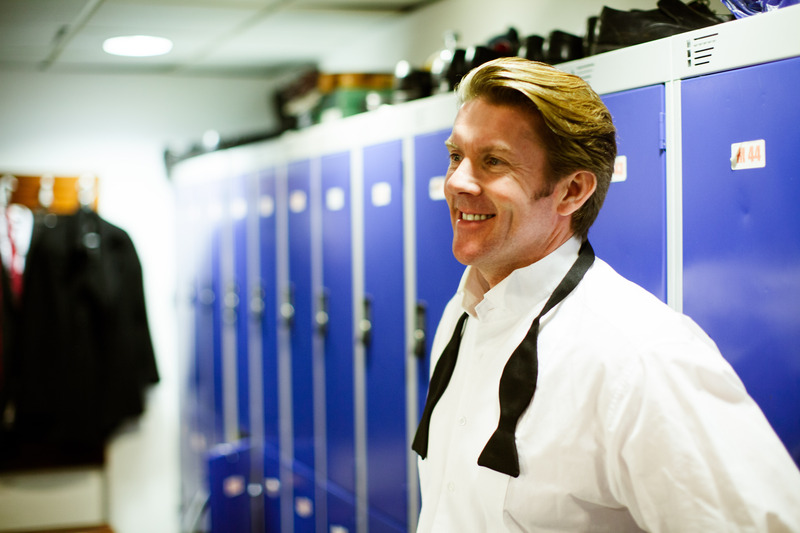 No matter where I perform I always get that special feeling of adrenaline ‘kicking in’ just before I go on stage, over the years I’ve learned to manage and channel that feeling and have it work for me and help me. Once I’m set up at my performance venue I need to do a ‘sound check’, this is checking the volume and quality of my microphone against the band or backing track that I’m using, as you can imagine each venue is different and gives me a completely different sound, it’s great to have a sound person there operating the sound with there expert ears but often I am my own sound man and a walk around the performance venue singing a song or two before the audience turns up is a usual occurrence. If I am being my own sound man then I’m also being my own ‘roadie’ which is not too bad usually, until I come across a venue thats on the second or third floor with no lift, which thankfully is rare but when this does happen I get an unexpected gym workout in before I perform! I always like to arrive early to set up and sound check and I try to predict how the traffic will be before I set out, this doesn’t always work out as I do live not too far away from the notorious M25! There’s nothing worse than knowing you’re due on stage in an hour and you are stuck in traffic. Once I’m set up and sound checked it’s always a bonus if there is a dressing room just to relax in, this isn’t always the case and the amount of times I have changed in the gents I have lost count. I don’t like to eat anything well before I sing so for a few hours before I will just have a coffee and water, I like to feel that my stomach is empty as it helps with breath control. This might sound strange but before I go on stage I try hard not to think of the imminent performance, especially the words, as I’m rehearsed and already know exactly what I’m doing, when the music starts I just allow it to happen, once I’m in full flow that ‘kicking in’ thing happens, it’s a safe place that hours, days and years of practice have got me comfortable with. After a performance whether it’s one song or a two hour stint I always feel a sense of achievement and exhilaration, I make sure the person or persons who have employed me or I’m performing for are happy and pleased with what I’ve done, Its lovely to greet people afterwards and have a chat and a real bonus is signing a CD or two for people who want to take a little bit of the performance home with them. Depending on where I have been it can be a long drive home, I don’t really mind this too much as with my evening performances there are not as many cars on the road and the traffic is quiet, this gives me time with myself to reflect and unwind, I like to review my performance in my head to see what can be done better for the next time or even find a little anecdote or story that might work again, having said that my first choice would always be an afternoon performance with a relatively short journey home to be back for my little boy’s bath time! As I haven’t eaten for some time I’m usually quite hungry after performing and I have to watch just grabbing the first thing I see and wolfing it down especially late at night, I often wonder if this was the late great Luciano Pavarotti’s reason for being such a big man, but to be honest with a voice like his that would be my last concern! Recently and after many requests I felt drawn to producing and releasing my first solo CD, the content and repertoire for my ‘This Is The Moment’ CD came quite quickly as the twelve songs on the CD are most of my favourites with a special meaning to me with there lyric, or like an old friend they had been there at a crucial moment in my life. It’s not until you decide to do something that you realise how much work is involved, in fact deciding on the songs was the easy part, I then had to have my tracks produced in the studio by London Arrangements and once produced and ready I needed to rehearse them to make sure the feel and key were right. On to the ‘Meat In The Sandwich’ which is the actual vocal recording at Kenilworth Studios, London, The whole process takes a lot of time and in a single four hour session with the excellent sound engineer and musician Chris Traves we would get perhaps two tracks down on tape, after a few of these sessions over the weeks the tracks are ready to be mixed and mastered and when all of this was done it was such a wonderful feeling of achievement and expression on listening back to the finished songs. All of the music used has to be licensed and credited to the creators and all of the contracts and paperwork needed to be filled in and submitted well in advance of any CD release. 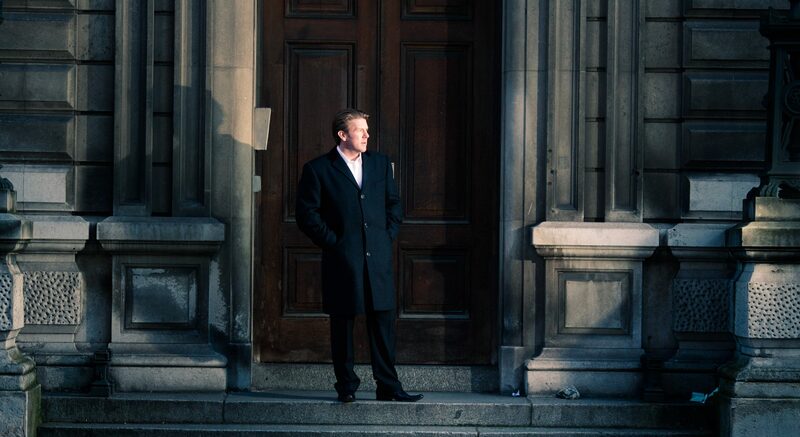 There is then the design of a CD cover, I had a photo shoot to get some shots for the front cover and album booklet, this was done on location in London by the master photographer Casey Moore, what a talented guy with such a refined eye. The CD cover then needed to be designed and Rob Petrie of The Pet Shop Boys CD design fame was my man for this job. The rest of the CD booklet and even a website had to be designed and created and the very creative and patient Martin Roberts of Carrdale was very accommodating and visionary with some great ideas. The master copy was then sent to the replication company with the CD sleeve and booklet design and a wait of two weeks before the finished product landed on the doormat. Seeing and hearing the finished CD is a beautiful feeling and I knew the work of performance and promotion could then begin in earnest. 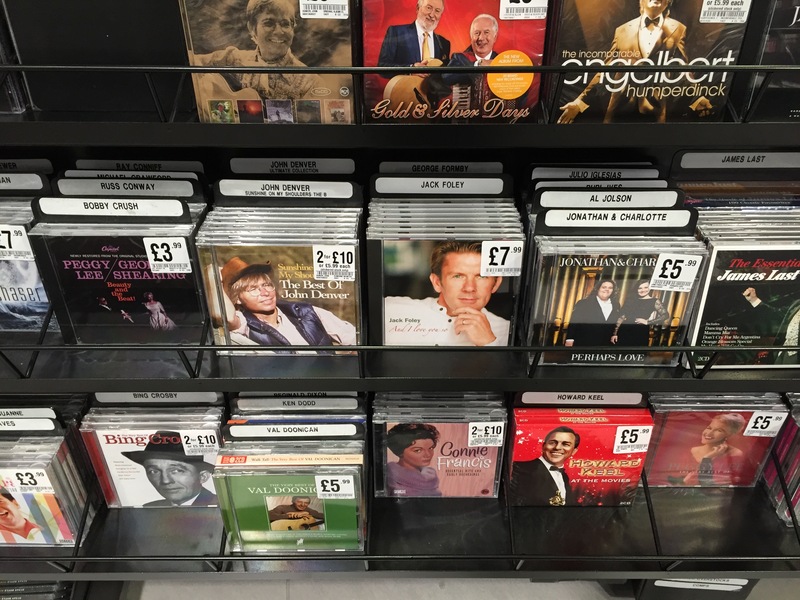 My second CD ’And I Love You So’ based on the theme of love came about shortly after the first and to have the two CDs side by side in HMV on Oxford Street was a sight to behold for me and something of a dream come true. All of the hard work was very well worth it and I look forward to repeating the process with a third album soon!